With spring coming up, I have been on the lookout fresh yet deliciously sweet treat. We all know my obsession with mason jars, so when I was browsing pinterest I got really inspired by the whole layered 'cake-in-a-jar" idea. So that's where I combined lemon pound cake, blueberries, fresh blueberry sauce and light whipped frosting for a super simple and easy dessert. Perfect to serve for get-togethers or simply if you want something tasty for yourself! 3.) Add the blueberries and cook or 5 minutes. Remove from heat and add vanilla. 1.) cut the pound cake and use it as the first layer. Mash it in the jar a bit so there aren't air pockets. 4.) Repeat as many times to your liking. I did two layers and added fresh blueberries to the top. So there you have it! Quite easy and simple, because as I have said before, I rarely spend much time in the kitchen. Hope you enjoy this tasty treat! what edit do you use? Looks super yummie!! I just want to eat that now! hihi!! This looks divine! A perfect treat for spring, indeed. Looks way too delicioussss, such a cute treat in that jar. Thanks for sharing this!! oh my gosh! YUM. 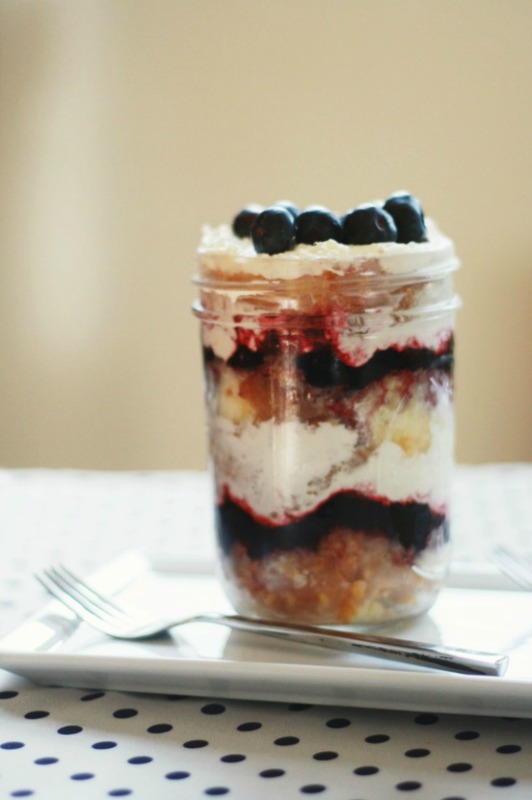 I am obsessed with mason jars, so I'm really going to have to give cake in a jar a try. Thanks for sharing! 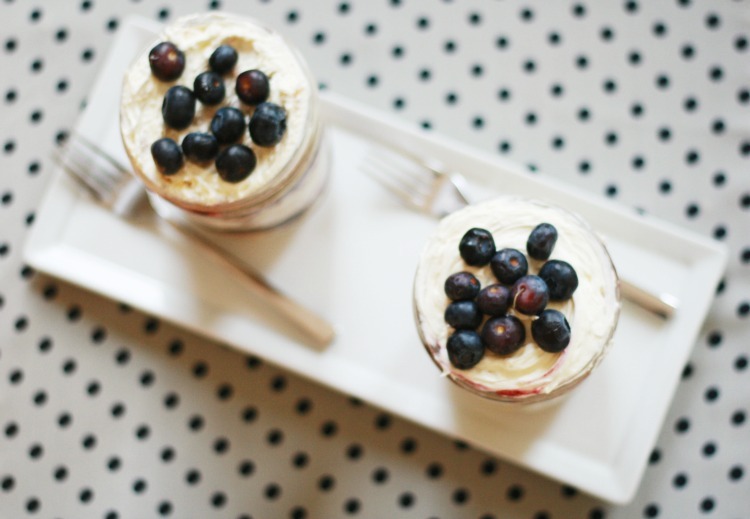 I love layered cakes in jars - they are so cute! That looks delicious! I am definitely going to try it. That looks amazing! I've seen this on tumblr too! It's gorgeous, oh now I'm hunngry! Oh WOW. This looks divine!